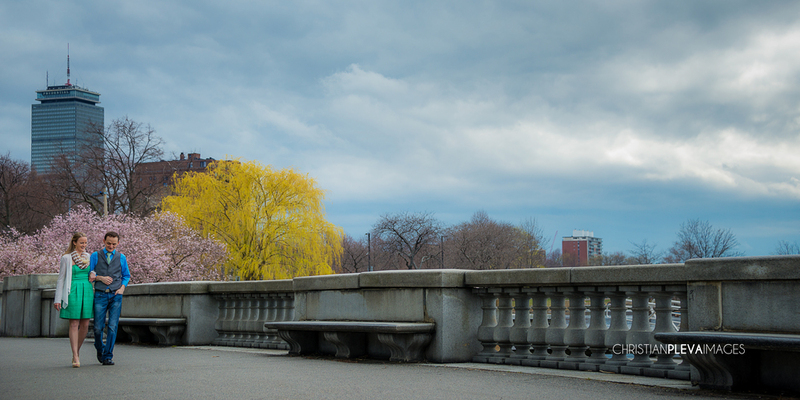 We had the treat of doing a couple's session by the Charles River at the Esplanade this Saturday with Rachel and Michael. The majority of our sessions are filled with wedding couples or those who are enjoying their engagement before the wedding. Rarely do we get to work with a couple that has been married awhile and this couple was the perfect ones to do that, as they were still as in love as those recently engaged. They were so funny, starting the session by warning us they may be awkward, which ended up being the complete opposite! It was like we weren't even there, they were so comfortable together and in love it was an inspirational to see. For the session, Rachel wore a beautiful green dress with a special feature that I adore...POCKETS!!!! Since it was a little chilly, she accompanied it with a sweater and looked great! Michael wore his favorite vest and jeans. They aren't from Boston, so were excited to capture their time here. When we asked how their overall experience was they said, "Our experience with Christian and Melissa was great. They are very professional and are a lot of fun to work with. They had a lot of great ideas for shots and really put us at ease. 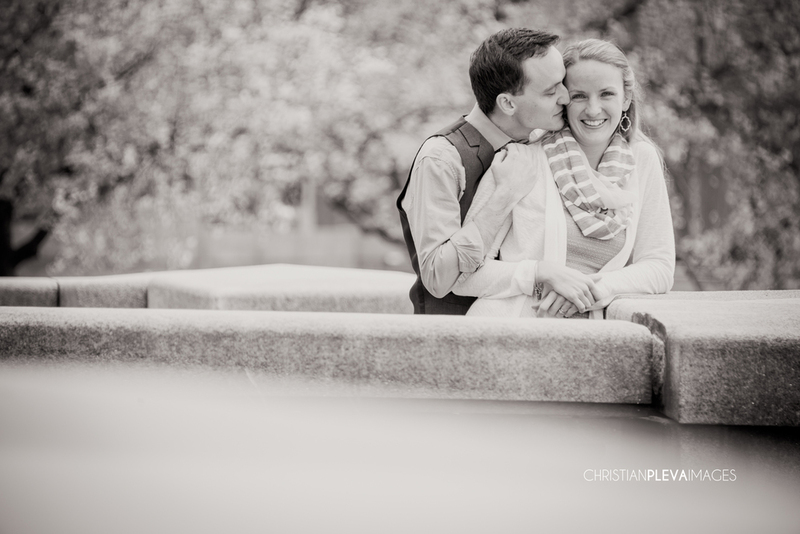 I would highly recommend them to anyone wanting engagement or family photos!" and on tips for couples getting engagement photos they said, "Don't agree to let your family or friends do it....unless they are truly talented. Spend the money for a professional!" Thank you for your kind words, as we had a blast working with you guys! Hopefully, these sneak peeks are better than ones you had before! :) We hope you enjoy!! !